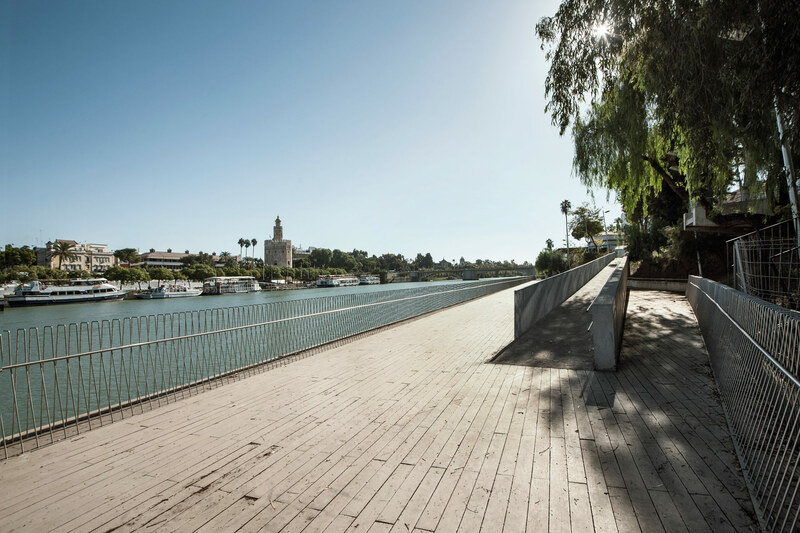 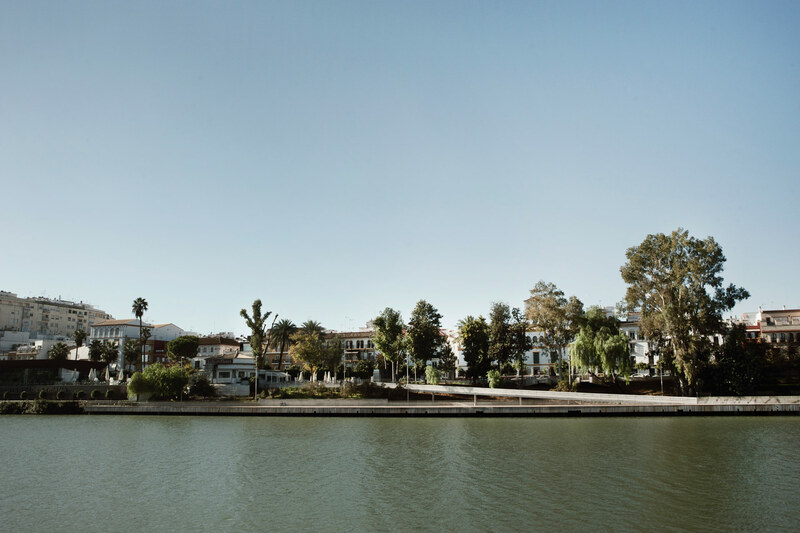 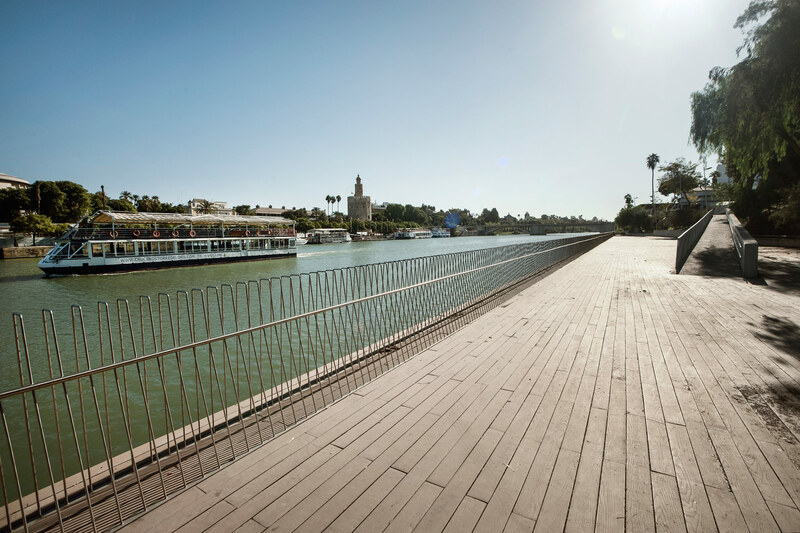 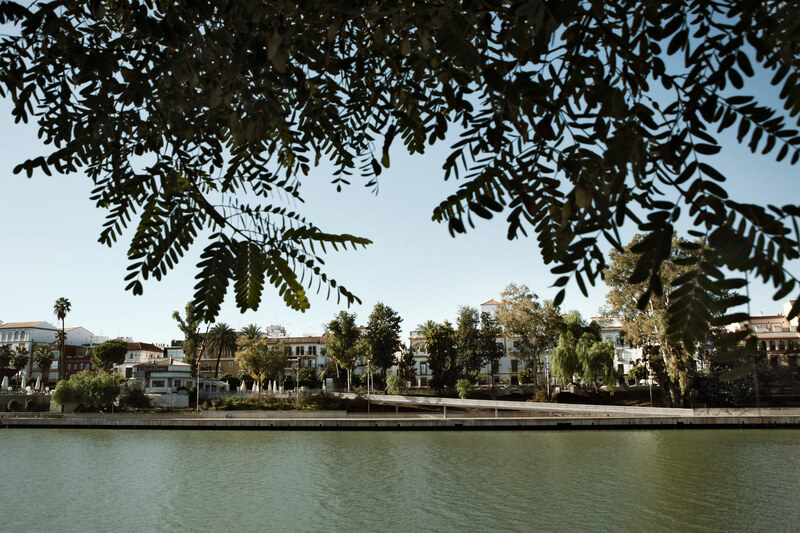 The Shrimpers’ Dock, in Calle Betis, on the Triana side of the river, was recently recovered as a new green area from which to see Seville. 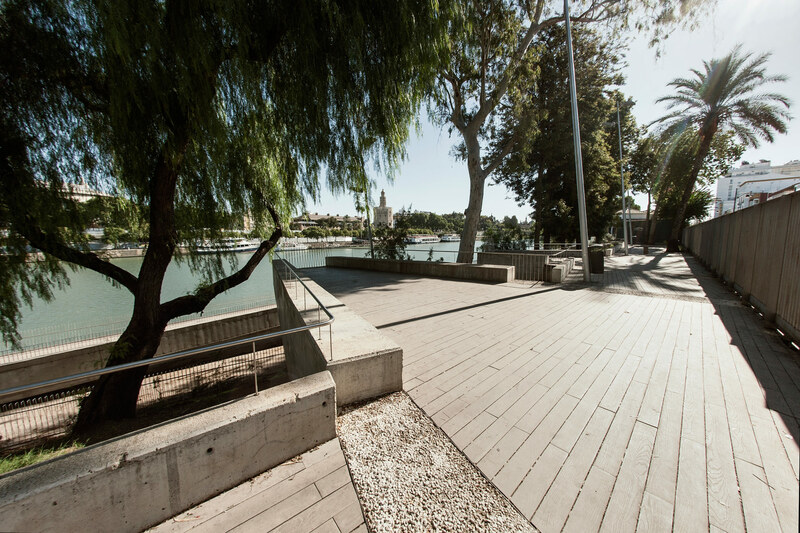 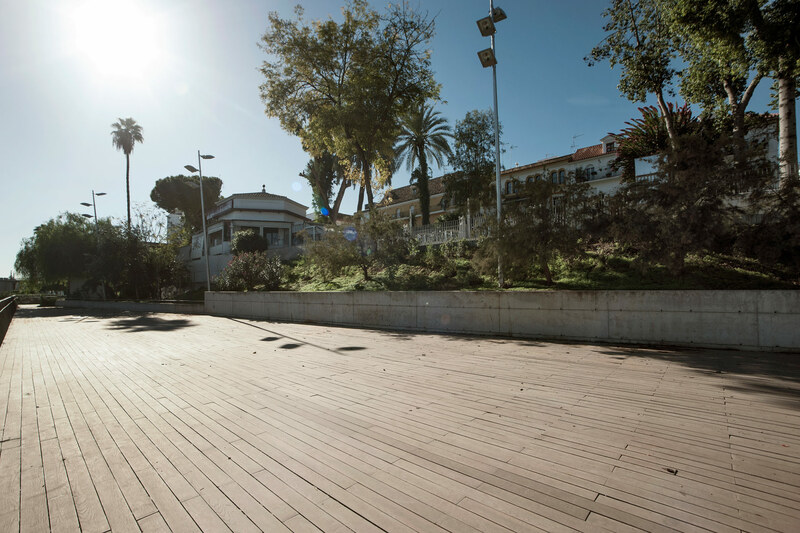 This new boulevard, between the Calle Betis dock and the free space south of Quiosco de las Flores and the National Police Station, has now been restaured and is now the home to a variety of vegetation, including eucalyptus, silver oak, brachychiton, hibiscus, camellias and peppercorn trees. 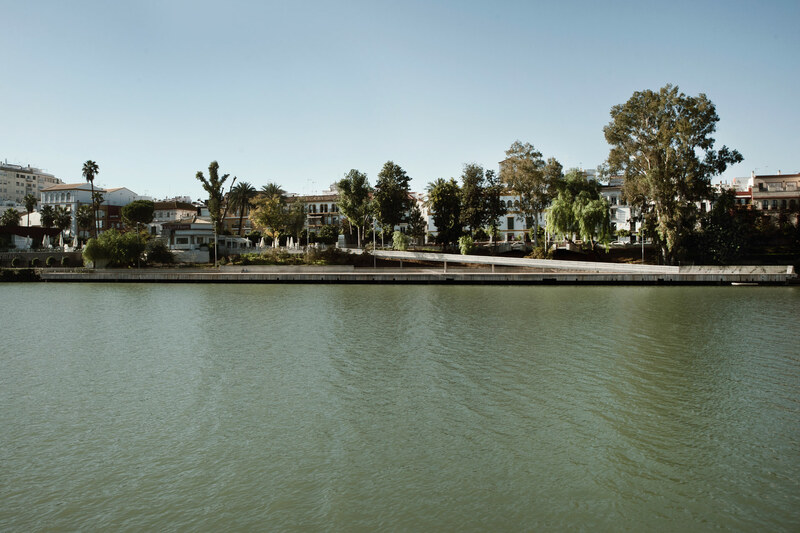 There used to be plenty of fishing activity in this area, as along the entire right bank of the Guadalquivir harbour, as shown on a tile on one of the houses in Calle Betis: “Opposite here there was the old Shrimpers’ Dock: an emblematic part of Triana and the residence of fishermen”. 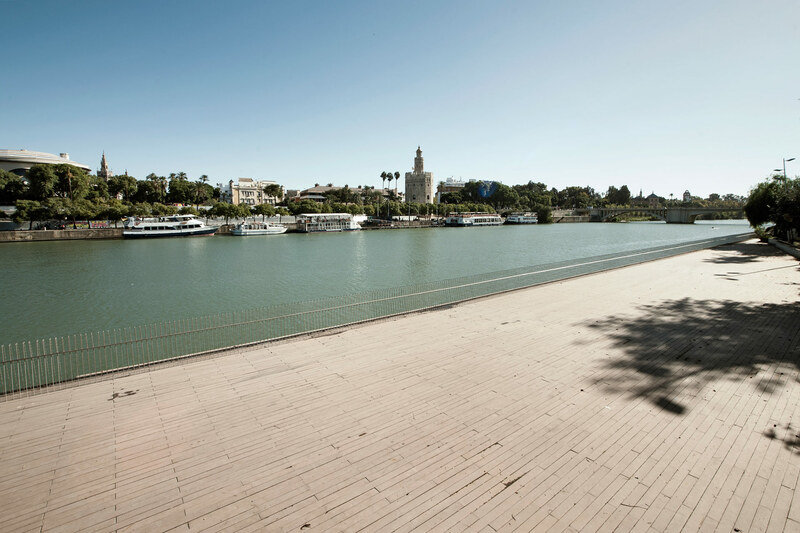 The Shrimpers’ Dock has been recovered for use of the city and its visitors, and is now a pleasant area with insight to the city’s history and a view of Seville from the other side of the river, by the river itself, in a unique setting in Triana. 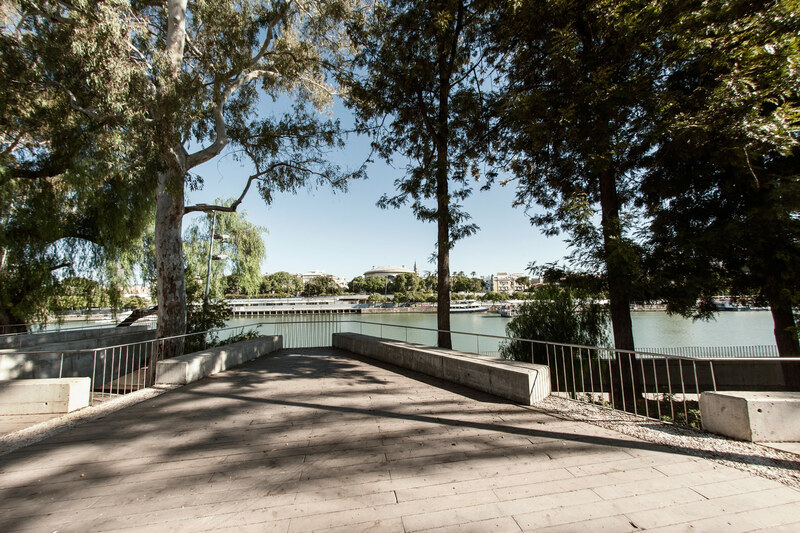 TheShrimpers’ Dock comprises a 330 square metre observation deck, banks of gardens and a 1500 square metre water-level wooden platform protected by a safety railing. 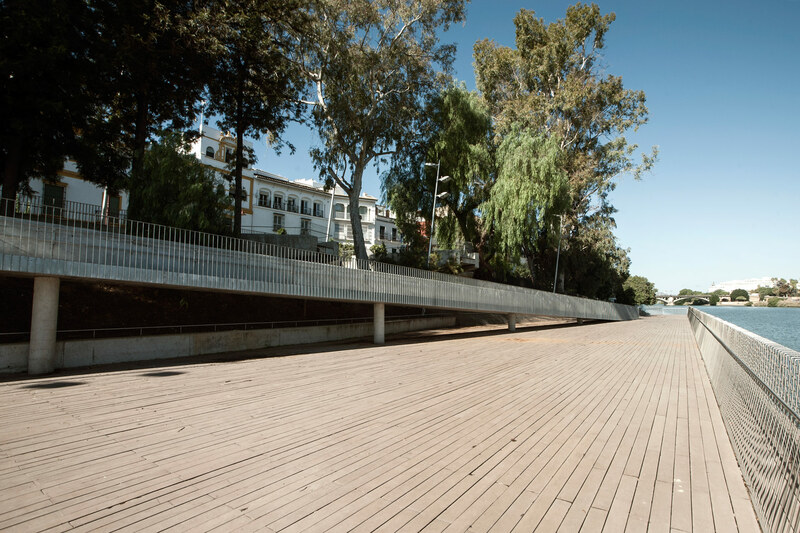 The water-level wooden platform is a versatile open air venue suitable for events attended by a large number of people, such as product or service presentations, exhibitions and other participative events. 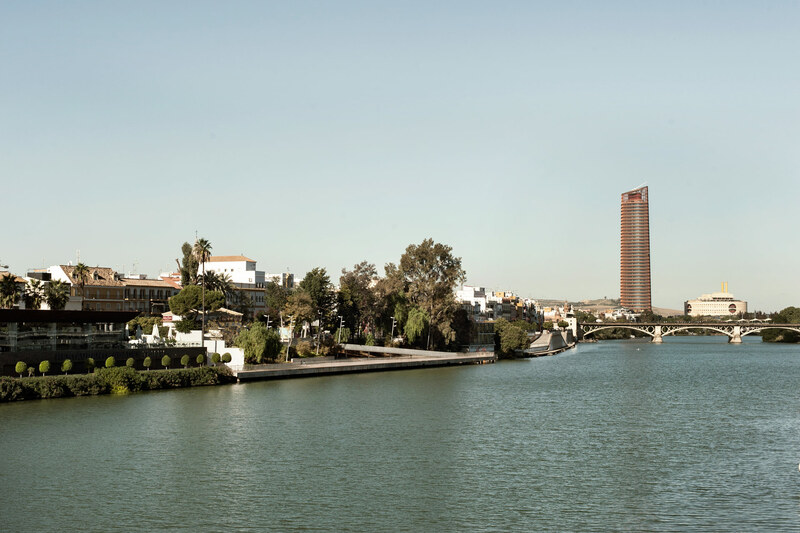 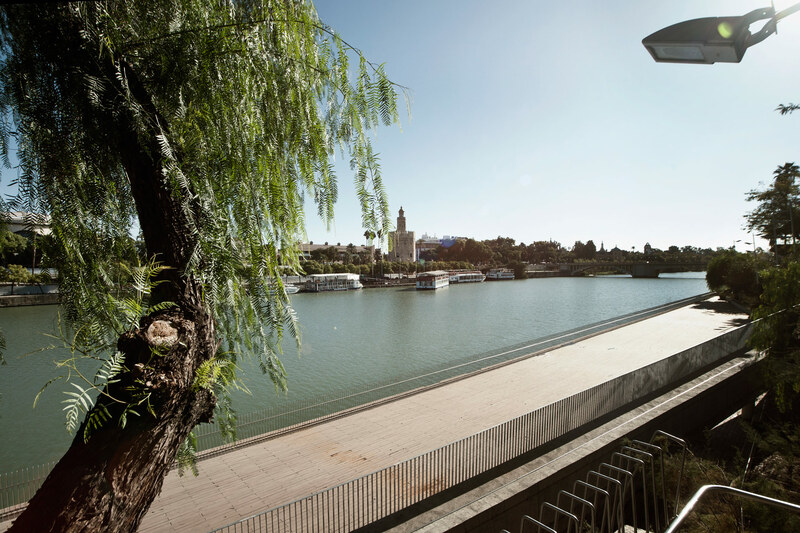 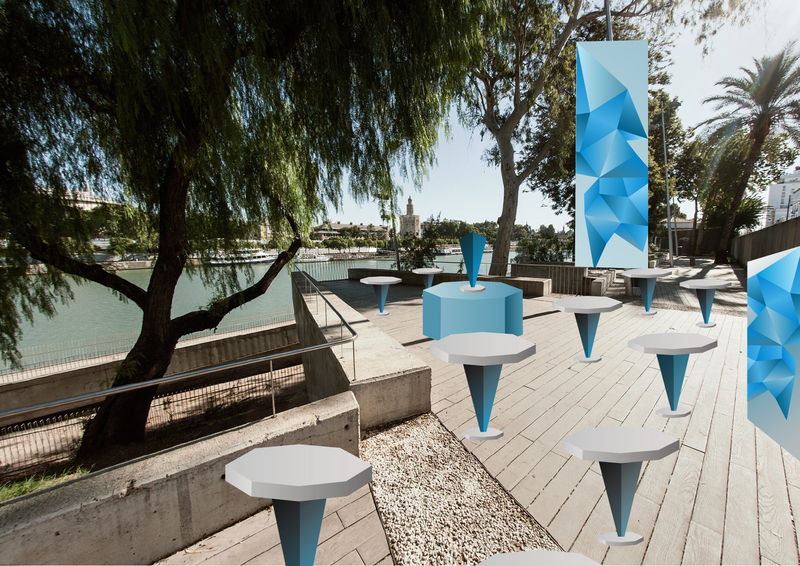 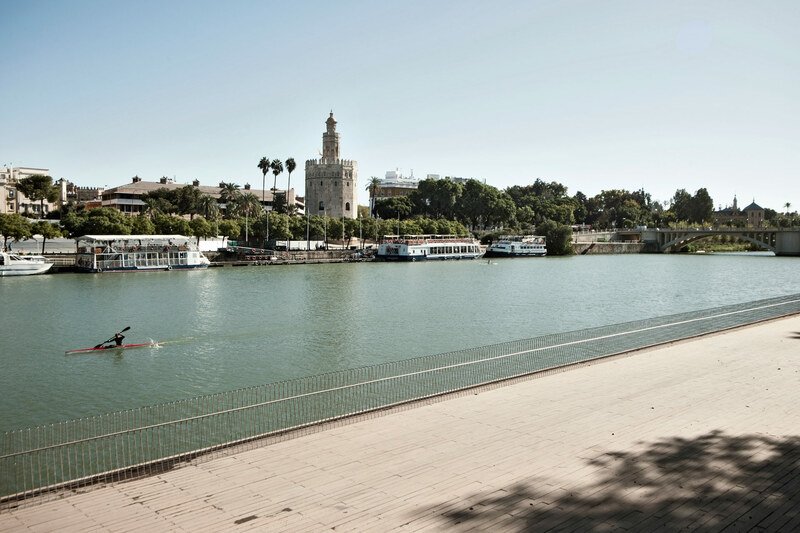 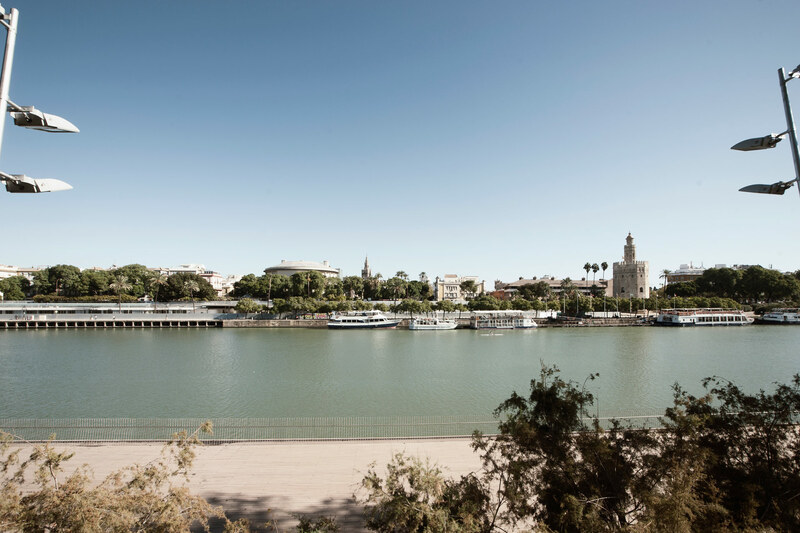 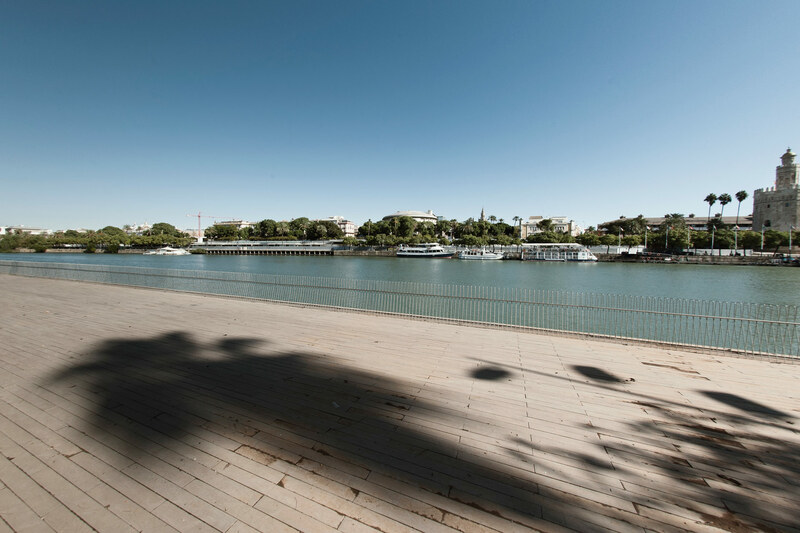 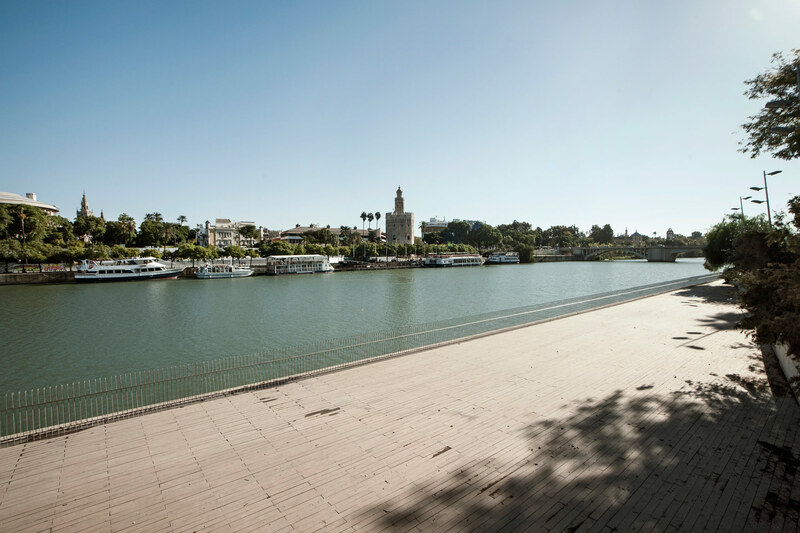 The space forms part of the strategy of making the best possible use of the Guadalquivir river for both local residents and tourists on both sides of the river. 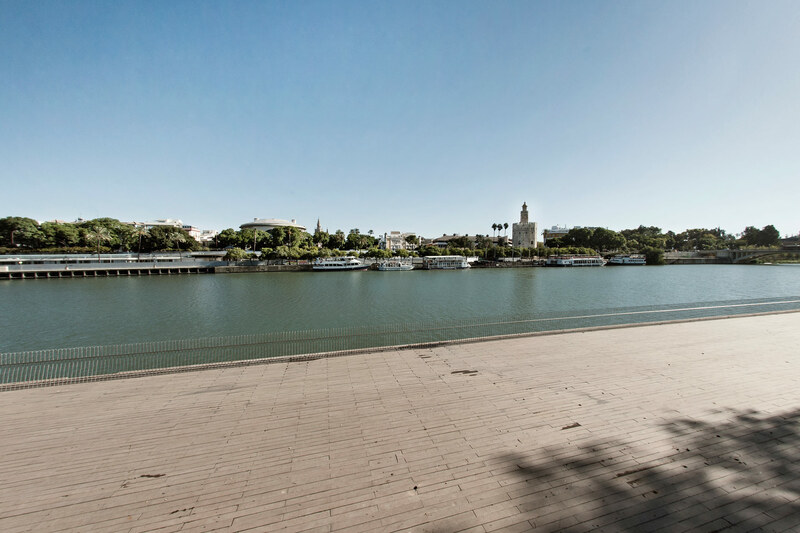 The space can host up to 1000 people and there are several public car parks in the vicinity. 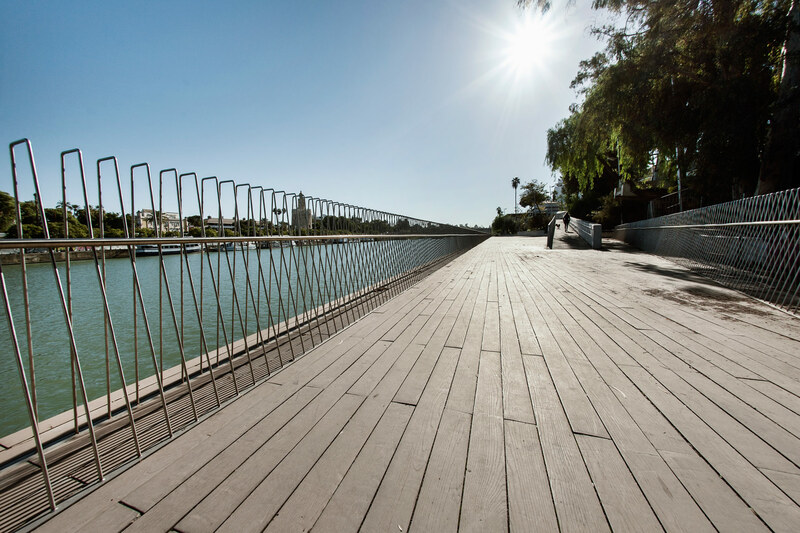 Access is adapted for people with disabilities. 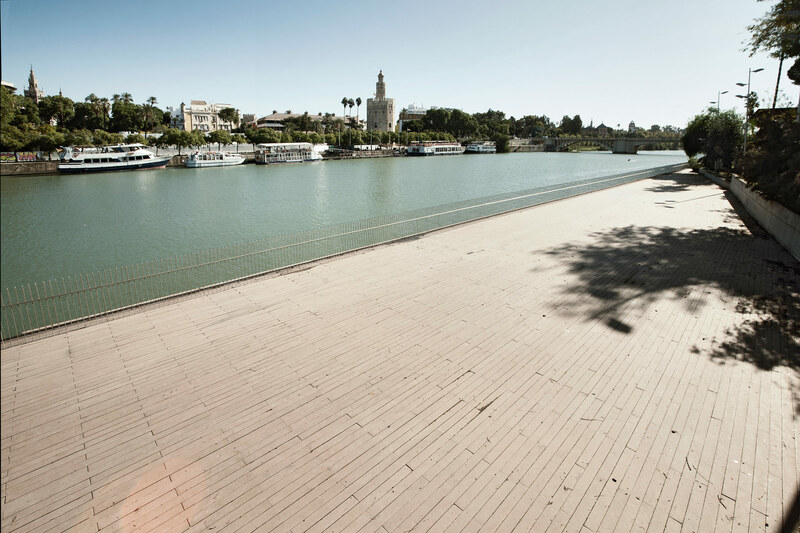 Plaza de San Francisco, 19. 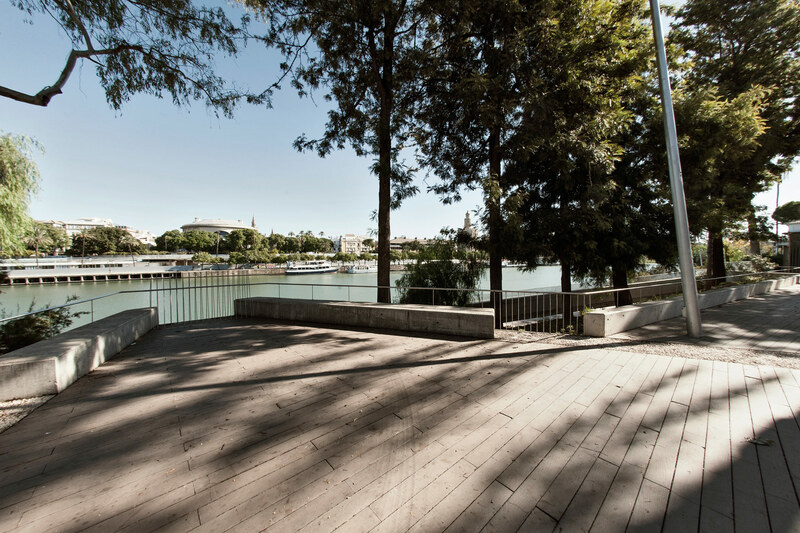 Open from 09:00h. 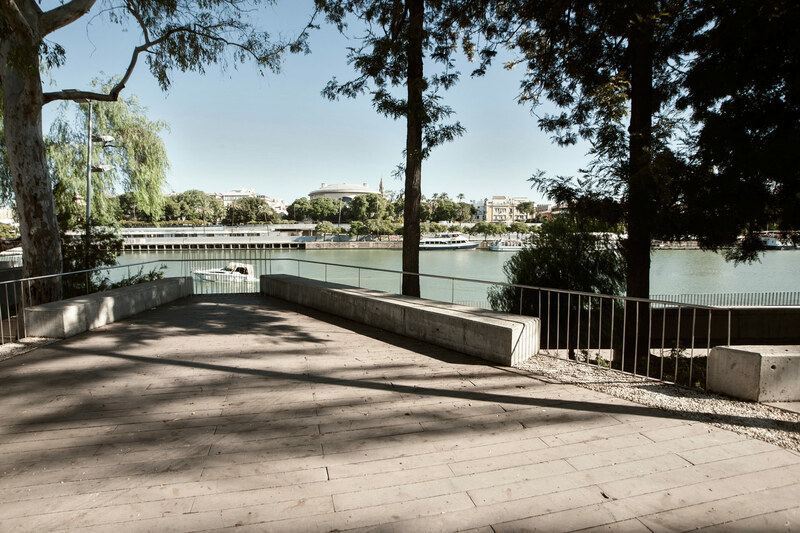 to 14:00h.